There are fantasy books and then there are trilogies. Problem with trilogies is that one has to remember what goes on in each part. Atleast that will not be much of a problem in this series. The plot is fairly simple to begin with- a hero dies fighting the asur god who is in possession of a rudra key that revives him more powerful than before. One half of same ,combined with mantras by the king makes way for the hero to be born someday with blessings and a goal to save the secret mantras and kill the asur king. And after this, we gradually come to know more of both nations , the present tensions since the comeback warrior is brought up in some remote city and is unaware of the legacy. But he is the typical good guy who is courageous , kind and intelligent enough to face any adversity. One scene after another , the plot is a bunch of cliches though the writing lifts itslef in places. Some one who is an avid reader would be able to easily predict many of the twists. 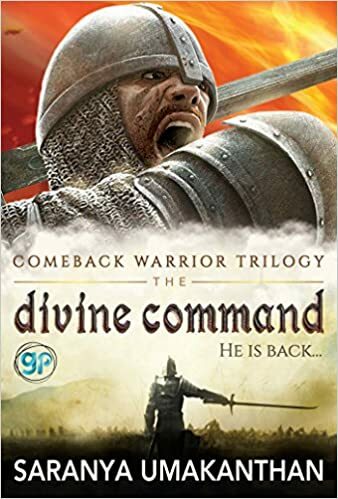 The comeback warrior's attitude is kind f so laid back - good or bad , he just acceots things as they come. There is not much convincing about his actions sometimes. The book is kind of YA and is more suitable for young teens and beginners. In that respect, i appreciate that the language is very simple and easy to follow. There is kind of innocence in the characters. I did not enjoy this much but I would reccomend it to some of my younger cousins.